Welcome to Paris, otherwise known as the City of Lights. As the art and cultural hub of Europe, Paris is unmatched, both in beauty, history and architecture and has the reputation of being the single most influencer on world fashion and art. 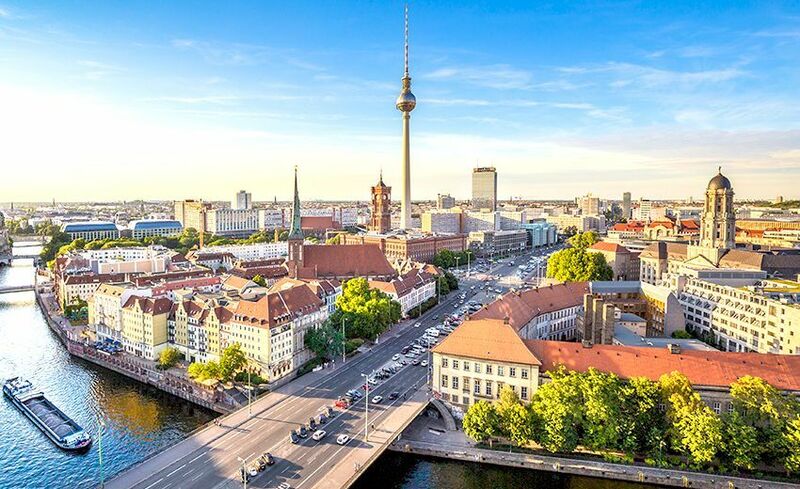 Museums and palaces, manicured gardens, fine dining and monuments reflect the true identity of the city that visitors flock to by the scores. 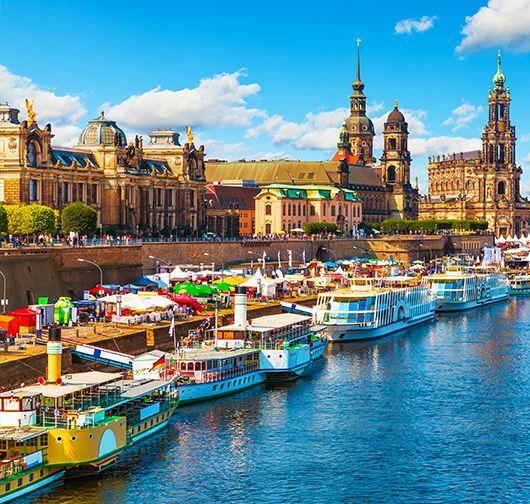 Whether you are here to say hello to Mona Lisa, visit Disneyland or Eiffel Tower, the Palace of Versailles or simply admire art at Louvre, you are not going to leave this city without vowing to return. It won’t be wrong to say that the French gave the world the concept of fine dining and enviable fashion labels. Day 1 Dubai - Paris (flight) , Siene River Cruise , Guided City tour & Fragonard Perfume Museum . Arrive in Paris. After finishing your immigration formalities, meet and greet your guide and proceed for your welcome breakfast. 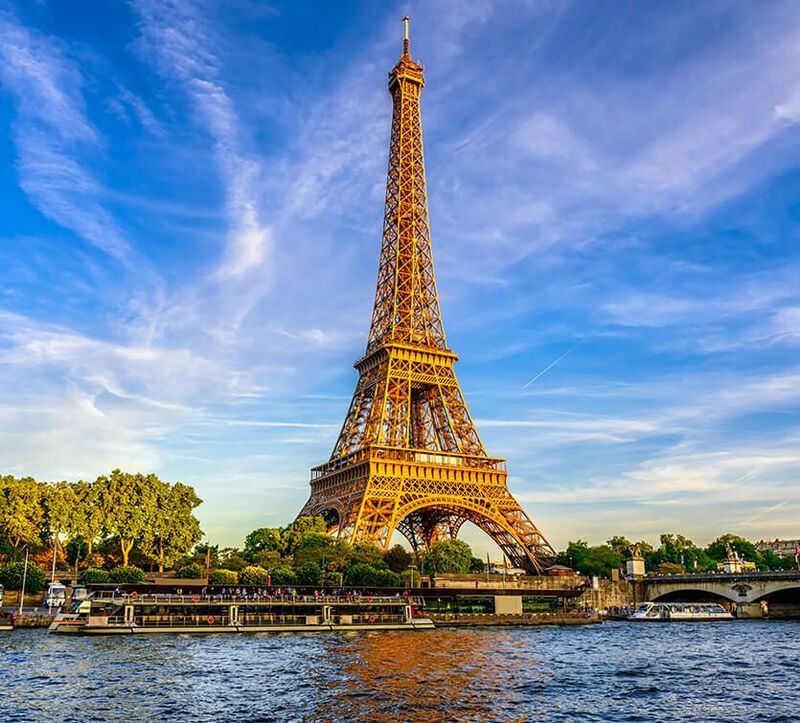 Relax over a sumptuous breakfast and get ready for a cruise on River Siene.As you glide down the river, you can catch the glimpse of the Louvre Museum and the Eiffel Tower. It is a great way to see magnificent French architecture of various eras in building rising on both sides of the river. It’s like a lesson in French history. Later to the city tour of Paris. 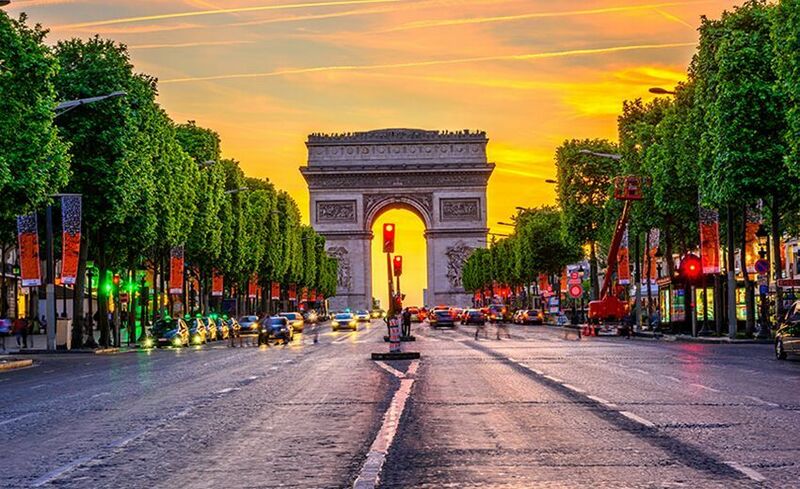 Begin with touring Champs Elysees – Paris’s premier shopping street that attracts shopper from all over the world. Stretching over two kilometers filled with luxury stores, cinemas, theatres and café bistro, Champs Elyse takes you into another world. At one of it you will see Arc de Triomphe, a beautiful monument constructed in the honor of the fighters of the Napoleonic Wars. There is also a museum on the top that explains the history of the monument. Continue discovering the artistic side of this city at Trocadero, Opera Garnier, Les Invalides, Notre-Dame Cathedral, Vendome Square, Le Louvre & Concorde Square. Continue on to the exquisite Fragonard Perfume Museum occupying a mansion from the Napoleon III era. Say hello to the founder who will happily share his expertise with you! You will have time for lunch and free time later to continue your discovery of Paris’s delights. Check out the Parisian nightlife - an altogether new and bold experience. Wind down for the night with some fine French food. Overnight in Paris. Bonjour Paris! Fill up on a sumptuous breakfast at your hotel in preparation for the day ahead. Today you are going to visit Disneyland – the place where fantasy comes alive. You will have the entire day at your disposal to thoroughly soak up the magic that makes Disneyland so popular. Look forward to an incredible day filled with fun rides and laughter at Disneyland with your 1 Day 2 Parks pass. You are free to hop between both the Disney Park & Walt Disney Studios. Don’t miss out on the popular rides like the Space Mountain Mission 2, Indiana Jones, Pirates of the Caribbean, Buzz Lightyear Laser Blast, Casey Jr. and Mad Hatter’ Tea Cups along with meeting your favorite Disney characters and the famous parade. Towards the Walt Disney Studios take an exciting ride on the Twilight zone Tower of Terror, Rock “N” Roller coaster, RC Racer and see firsthand the secrets behind stunts performed at Walt Disney studios. You will be dropped off at the venue in the morning. Grab a map and get exploring. Later in the evening you will be picked up and driven back to your hotel. Overnight in Paris. Say good morning to Paris over breakfast and coffee (don’t miss the famous croissants!) Paris is renowned for! 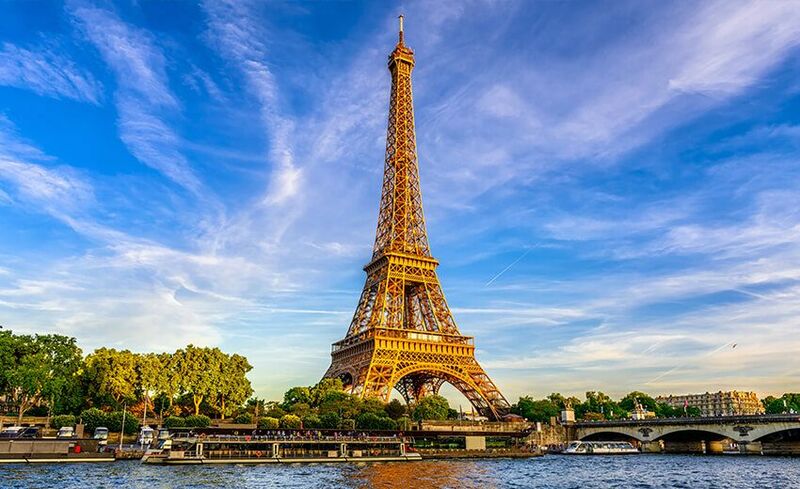 Today, you will go up the 324m tall Eiffel Tower – the most recognizable tower in the world! Yes. We assure you that the views from the Iron Lady are magnificent. What is interesting is that it was put up as a temporary structure for the 1889 World Fair. There are three levels to this structure and restaurants up here as well. You get the best views of the city and easily orient yourself with the layout from high up here. 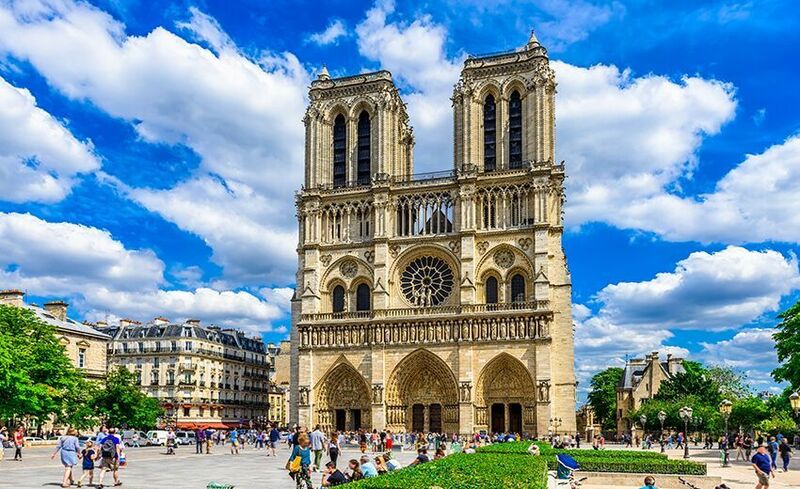 After you memorable experience at Eiffel Tower, you will proceed to Notre Dame Cathedral & then to Montmartre, a beautiful hill surrounded by hundreds of stores and artists displaying their wares and of course the famous white cathedral. Overnight in Paris. Good morning Zurich. 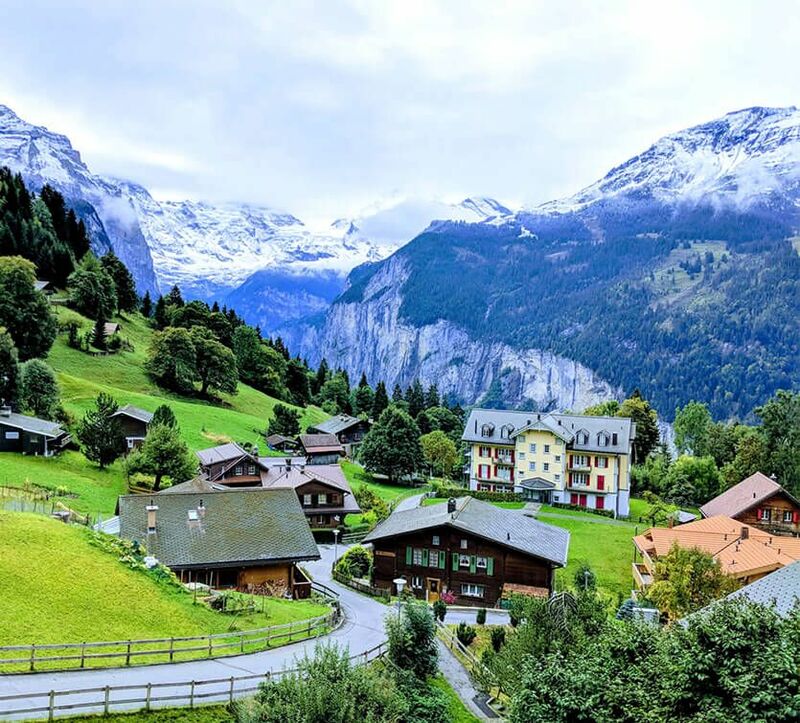 After breakfast at your hotel, you will depart on another Optional Tour to the Top of Europe at Jungfrau. 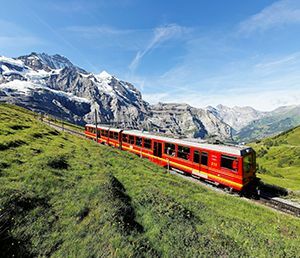 But first, you will arrive at Interlaken, your starting point of Jungfrau adventure. Be prepared for your journey of a lifetime. As the train bears you up the mountain (the track is over a hundred years old! ), mesmerizing vistas will open up around you. Pull down the window and breathe in the freshness of the Alps. The kind of beauty you will witness here defies description. The train cuts through the mountains to reach a height of 3454m (the highest railway station in Europe) through some breathtaking scenery. Welcome to Jungfrau. Say hello to the snow-capped landscapes all around you. 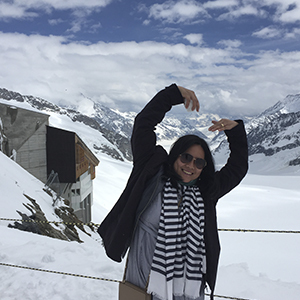 At the top you will see the Top of Europe Building, which overlooks the permanently frozen expanse of the Aletsch Glacier in the UNESCO Natural World Heritage property of Jungfrau. Ride the elevator to the Sphinx Observatory for jaw-dropping 360° indoor and outdoor views. Make your snowman or get your Instagram picture at the Top of Europe, but nothing beats the thrill of digging into creamy chocolates after a run through the snow on a mountain top. 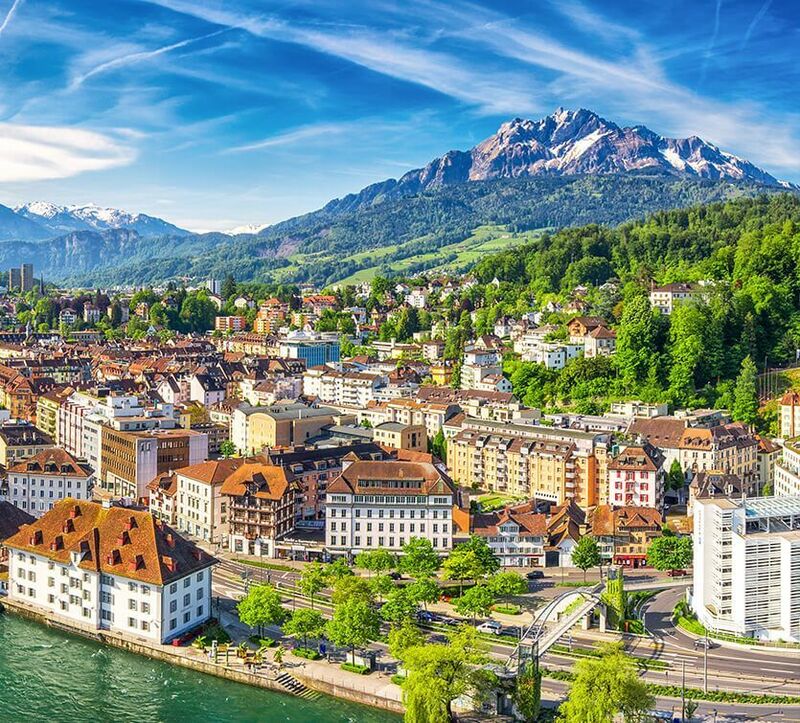 Return to Interlaken, a town nestling between Lake Thun and Lake Brienz and with a wide network of trains, funiculars, boats and cable-cars at your disposal. 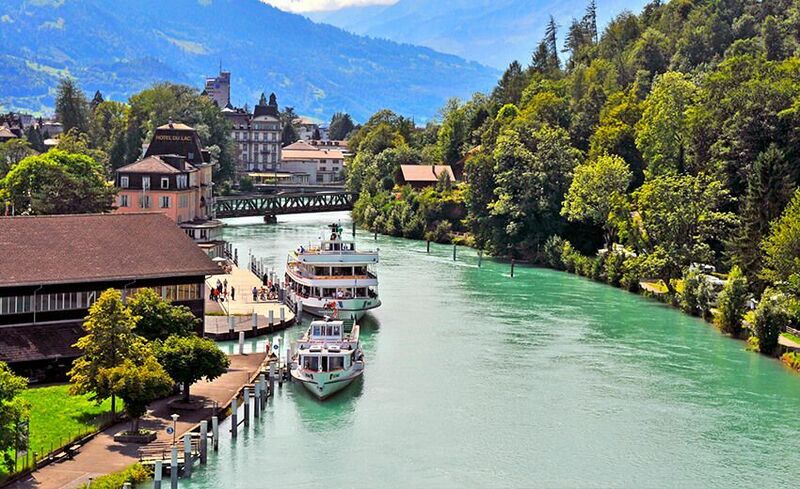 Interlaken is a springboard for journeys into the formidable Bernese Alps. Time permitting, head up to the Harder Kulm. 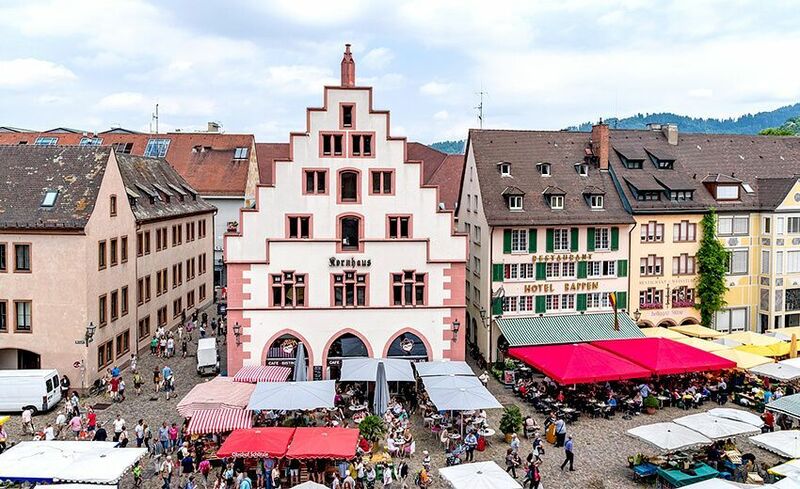 Also, enjoy some fine local delicacies here, such as cheese fondue and of course, chocolates. Return to your hotel in Zurich. Overnight in Switzerland. 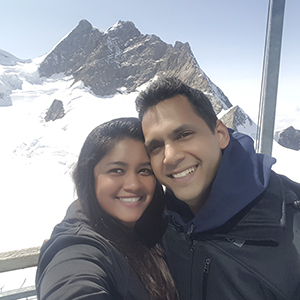 Day 7 Mt Titlis Tour with Ice Flyer - Lucerne City , Free time for Shopping. Good Morning Zurich! Get ready for your Swiss adventure with breakfast at your hotel. The Tour of Mt Titlis will begin soon after breakfast. On your journey to the top of Mt. 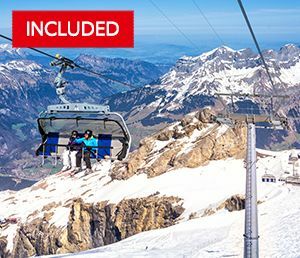 Titlis you will experience the world’s first 360 degrees revolving cable car – just so that you don’t miss the view! 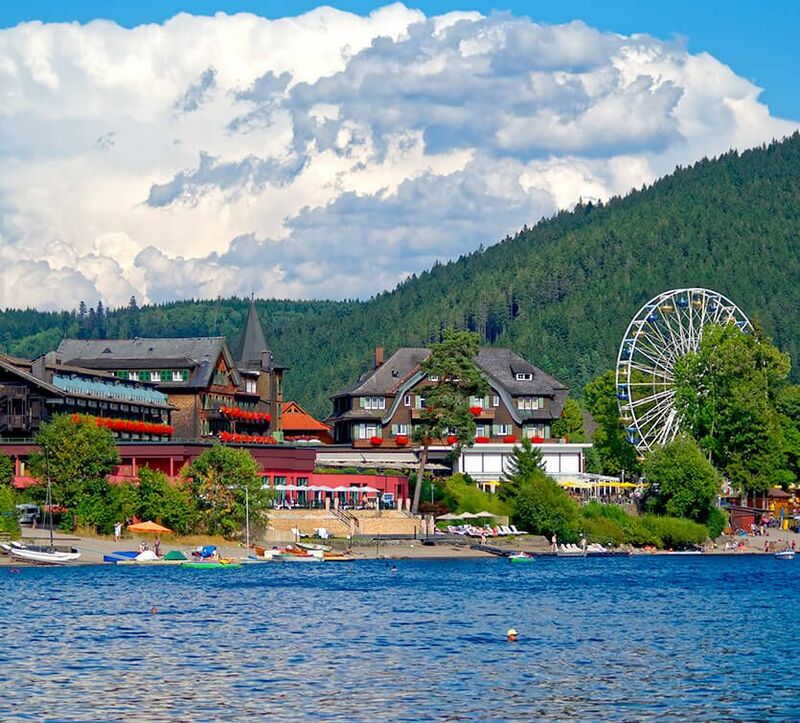 As you rock your way upwards, you will be greeted with beautiful view of the Swiss mountains and tall pine trees that look like little pins from above. Once you are at the summit, there are plenty of activities to indulge in. Explore underground ice caves filled with millions of ice crystals that glisten under soft turquoise light or, if you want something more adventurous, walk across the highest suspension bridge in Europe – Cliff Walk! Try not to scream as you tread your way over the hanging bridge – but it is definitely worth a try! The first few minutes may render you speechless but don’t forget to enjoy the experience as much as possible! Follow this up with a shot at the Ice Flyer – glide from mountain to mountain on a chair lift to the Glacier Park and finish your time with a cup of hot chocolate. 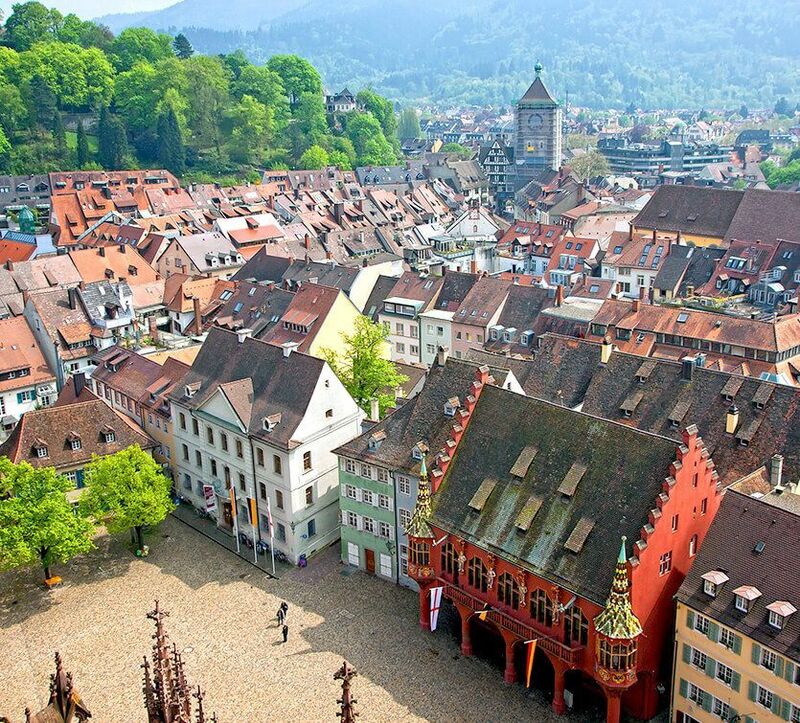 Make your way to Lucerne, a beautiful city in the center of Switzerland with the Swiss Alps as its backdrop. Overnight in Switzerland. Thank you AFC . Thoroughly enjoyed our group holiday tour of historical France and ravishing Switzerland , with its scenic landscape second to no other place. 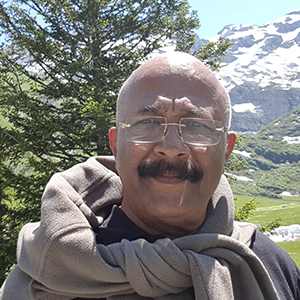 We were really mesmerized by nature clad in a spectrum of crystal clear colours with almost no pollution to mar our delight . It is simply tantalizing. The only minor flaw was the breakfast served at Hayatt ( France ) which was compensated later at Move N Pick , Switzerland. Moreover , the very friendly group members and tour manager made our trip even more worthwhile. Thanks to AFC for making all this possible. We wish that AFC could provide us with all meals on such tours as they did on our Kenyan tour. Looking forward to associate again with AFC. My Husband and I had a fabulous and unforgettable vacation. 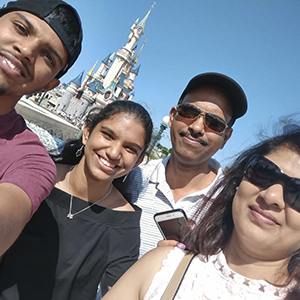 This is the second time we have traveled with AFC holidays, however this was our first escorted group trip and also our first time to experience the wonders, Europe has to offer. The Euro trip was organised very well, we were put up in good 4 star hotels in Paris & Switzerland. The food provided was good too, the places we got to visit and sight seeing was a great experience. Overall it was a memorable & enjoyable vacation!.. Thank you AFC Holidays for putting together a perfect itinerary. We would also like to thank our tour manager Keith D'mello for being a fantastic guide. 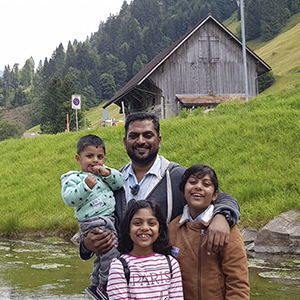 Tops of Europe was a well planned package trip that we enjoyed as a family. Everything was well organised right from flights to transportation and the tour. Our Tour Manager Mr. Murray was indeed a very cheerful , informative and very helpful. All the members of the group were fantastic as well. All in all the trip was quite enjoyable. Had a great time with afc. Pre tour briefing helped a lot. Tour manager Mr Arun is a co operative and helpful person.